Download to PLAY your new game "ARCHERY 3D" in arcade category on Windows Phone Store now! Get ready for the Archery Tournament. 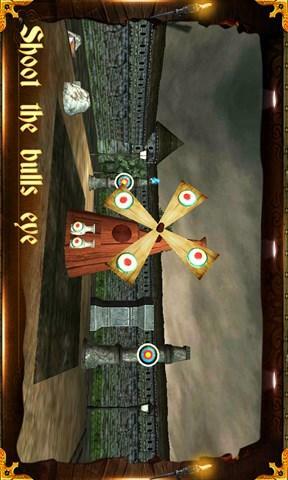 An amazing Bow and Arrow 3D game to make you thrill. Play as an archer, test your skills. Become Archery Masters with your shooting skills. Complete each mission to win coins. Upgrade your bows to become perfect bow master. Enjoy and Search TIMUZ for new games every day! GAME FEATURES:- *FREE game to play with in-app to remove ads. *Different powerful lethal bows to upgrade & shoot. *NEW Realistic physics of bow & arrow to feel the 3D environment. *Simple game play & 3D HD graphics features. *3D environments with multiple camera views. *Explore different worlds & unlock new missions. *Social Gaming Features Included IN APP PURCHASES:- No Ads Pack: 0.99 Unlock All Levels : 3.99 Unlock All Bows and Levels : 5.99 How to Play:- Drag your finger towards target to release arrow. Check out our free games previews, game trailers, videos and more free apps in the future. Game Videos and Trailers:- SUBSCRIBE FOR NEW UPDATES & NEW LEVELS Like us on Facebook:- SUBSCRIBE FOR NEW UPDATES & NEW LEVELS https://www.facebook.com/timuzsolutions This game is suitable for all ages. 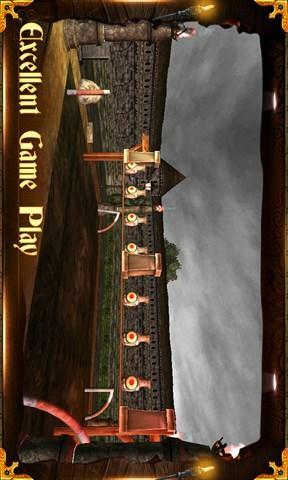 Install and Play your new game in "Arcade" game category – ARCHERY 3D for free on Windows Phone Store now! If you have any problem in installation, please report to us instead of giving negative comments. We will try to fix it as soon as possible.